Your capital's display page is divided up into different sections. 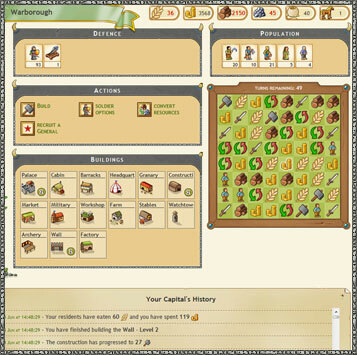 Use the interface to manage your Population and Resources. Finally, below the details of your population is the Production Grid. This grid will be explained in the Production section, which follows.